Home Agenda 21 Sochi 2014 — A ‘Rich Green Legacy’ to Remember … or Forget? Since the late 1990s, the Inter­na­tion­al Olympic Com­mit­tee (IOC) has been com­mit­ted to sus­tain­able devel­op­ment. Since the Agen­da for the Olympic Move­ment in the 21st Cen­tu­ry (Agen­da 21) was adopt­ed in 1999, the envi­ron­ment has become the third pil­lar of the Olympic move­ment, along with sport and cul­ture. The IOC works close­ly with the Unit­ed Nations Envi­ron­ment Pro­gram (UNEP) to assist the hosts of the Olympic Games (sum­mer and win­ter) to man­age the envi­ron­men­tal impacts of the Games. So can we expect sim­i­lar stan­dards at the Sochi Win­ter Olympics? There are envi­ron­men­tal issues asso­ci­at­ed with all mega events such as the Olympic and Com­mon­wealth Games. These are inevitable giv­en the scale of devel­op­ment need­ed to host such large events, and the num­bers of peo­ple attend­ing. The Win­ter Olympics take place at a rel­a­tive­ly high alti­tude (often halfway up a moun­tain) so devel­op­ing the infra­struc­ture and ser­vices need­ed to host a large event is made more dif­fi­cult by this ter­rain. Such alpine or moun­tain­ous areas are often impor­tant nature reserves too – but the Sochi Win­ter Olympics 2014 has promised a wide range of mea­sures to min­imise any neg­a­tive envi­ron­men­tal impact and return “a rich green lega­cy”, accord­ing to a newslet­ter from 2012. Accord­ing to the the organ­is­ing committee’s Games Bid, all con­struc­tion is being com­plet­ed to green build­ing stan­dards. They are also mod­ernising roads, pow­er plants, and water and waste treat­ment facil­i­ties. They hope to increase aware­ness of envi­ron­men­tal issues both in Sochi and in Rus­sia more gen­er­al­ly. Accord­ing to the offi­cial Sochi 2014 web­site, 97 per cent of all con­struc­tion waste has been reused direct­ly at the Olympic sites. New clean­ing and sew­er­age facil­i­ties have been built, and they have imple­ment­ed a strict pol­i­cy of waste sep­a­ra­tion with as much as pos­si­ble going for recy­cling. It is esti­mat­ed by the organ­is­ers that the Games (includ­ing the Olympic and the Par­a­lympic Win­ter Games) will gen­er­ate around 250,000 to 360,000 met­ric tons of CO2 emis­sions . The organ­is­ing com­mit­tee states that this will be mit­i­gat­ed over the next ten years through their Sus­tain­able Future pro­gram. The goal of the Sochi 2014 Organ­is­ing Com­mit­tee is to pre­serve the unique nat­ur­al envi­ron­ment, includ­ing the pro­tect­ed nat­ur­al assets in the Sochi Nation­al Park. They have already imple­ment­ed a pro­gram of “com­pen­sato­ry mea­sures”, which has includ­ed relo­cat­ing around 1,000 wild ani­mals from the Games con­struc­tion sites. They have plant­ed more than 160,000 new trees and are releas­ing 3 mil­lion young salmon into neigh­bour­ing rivers. The Sochi 2014 Olympic Games Organ­is­ing Com­mit­tee even won an award for sus­tain­able devel­op­ment and envi­ron­men­tal pro­tec­tion at the Inter­na­tion­al Sport Event Man­age­ment Awards in 2011. The Win­ter Olympics has been on the receiv­ing end of a fair amount of neg­a­tive pub­lic­i­ty regard­ing its envi­ron­men­tal cre­den­tials. There are oth­er crit­i­cisms too, includ­ing the pos­si­bil­i­ty of ter­ror­ist attacks, the US $51 bil­lion price tag of the Games and the neg­a­tive pub­lic­i­ty sur­round­ing Russia’s anti-gay laws. Local envi­ron­men­tal­ists claim that the Games are nowhere near as envi­ron­men­tal­ly friend­ly as they were promised to be. They allege ille­gal dump­ing of waste has been tak­ing place and that there has been lim­it­ed access to drink­ing water for locals dur­ing the con­struc­tion process. They even claim that the local Mzym­ta Riv­er was straight­ened to make way for some of the infra­struc­ture being built. It has been sug­gest­ed by TIME mag­a­zine that the Olympic sites are threat­en­ing a unique envi­ron­ment and one of Russia’s most eco­log­i­cal­ly valu­able areas. Express­ing oppo­si­tion in Rus­sia is polit­i­cal­ly risky. The truth or oth­er­wise of these claims remains to be proved. What is cer­tain is that such a large-scale devel­op­ment in a hith­er­to rel­a­tive­ly unde­vel­oped area is bound to affect the envi­ron­ment. These long term impacts will most­ly stem from the change in land use. But the destruc­tion of nat­ur­al habi­tats and the changes in the appear­ance of a once unspoilt wilder­ness are also impor­tant impacts too. Chang­ing land use and con­struc­tion also brings increased risks – of ero­sion, land­slips, mud­slides and avalanch­es – not to men­tion the increased tourist num­bers in a sen­si­tive nation­al park. Even with all the car­bon off­set­ting, green build­ings and zero waste, the city of Sochi and its sur­round­ing nation­al park and wilder­ness areas will nev­er be the same again. Is this real­ly the “rich green lega­cy” the organ­is­ers have promised? 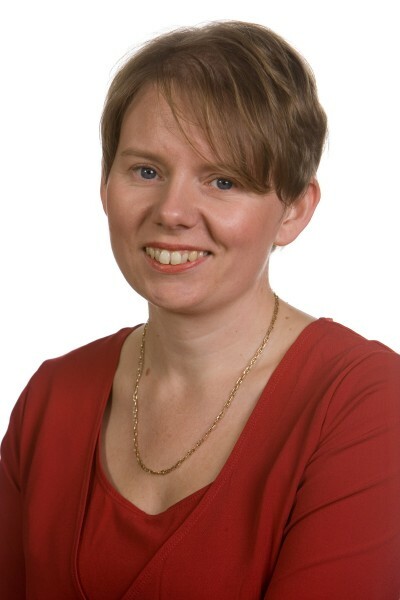 Dr Judith Mair is a lec­tur­er for the Depart­ment of Man­age­ment in the Fac­ul­ty of Busi­ness and Eco­nom­ics at Monash Uni­ver­si­ty.